The harmonica, as genres go, is most often associated with the blues. It’s also used as an occasional background or solo instrument in other styles. 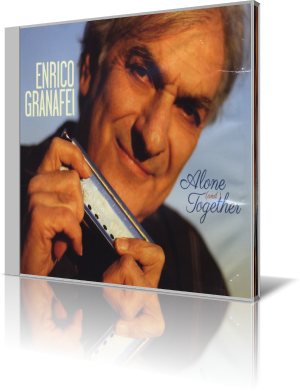 Enrico Granafei shows that it’s also an effective lead instrument in jazz with Alone and Together (Consolidated Artist Productions, 2013). For the first six tracks, the lineup consists of Granafei, pianist Amina Figarova, bassist Rick Crane and drummer Billy Hart. After that, it’s mostly a tour de force by Granafei as he plays some combination of harmonica, acoustic guitar, shaker, hands-free chromatic harmonica, DB guitar (a combination bass and guitar), nylon string guitar and vocals. Trumpeter Wallace Roney, violinist Vitali Imereli and guitarist Dave Stryker are among the additional players. “Christina” is a tranquil ballad that allows Granafei plenty of freedom. The accompanying musicians contribute nicely, but it’s mostly about the leader. Granafei mixes composer Buster Williams’ melody with improvisation. Figarova delivers an elegant middle solo. Granafie brings an upbeat arrangement to Cole Porter’s “I Love You.” Figarova, Crane and Hart are firmly engaged throughout, and each enjoys a moment to stretch out. Granafei owns Trumpets Jazz Club in Montclair, New Jersey. 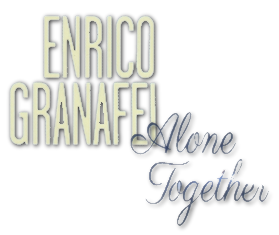 Alone and Together is his second release as a leader. It shows his diverse skills as well as infusing a bit of Granfei’s classical side with jazz.